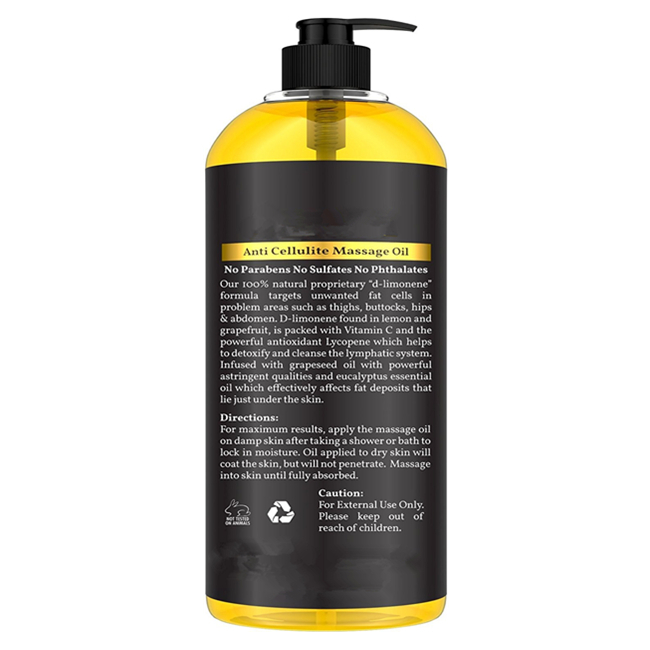 Ultimate Lusciousness - The Anti Cellulite Massage Oil will firm, tone, and smooth, all while softening your skin. Use it right after your shower to lock-in moisture. Your nourished skin will thank you by glowing and feeling healthier! Target Where It Counts - Penetrates deep into your skin and starts to work on fat deposits that create the dimpling in your skin. The fat cells will be attacked and shrunken, giving your skin a more tightened appearance. Detoxify - Our special d-limonene formula is packed with Vitamin C and the powerful antioxidant Lycopene that will help you to cleanse and decongest your lymphatic system, allowing you to feel your best! Rock Your Newfound Confidence - Get rid of your unwanted cellulite and say hello to smoother and firmer looking skin! Enhance the appearance of your skin in all areas of concern - hips, abdomen, thighs, and arms. Know that you'll always look great in anything you wear! 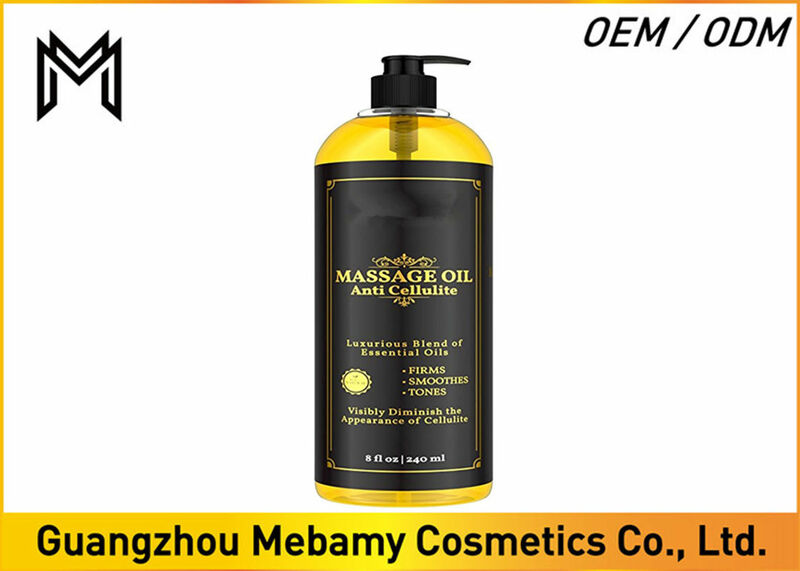 Natural Ingredients - Free of parabens, sulfates, and phthalates, the medley of eucalyptus, grape seed, lemon, and grapefruit elements aid in the process of tightening and firming in order to fight excessive body fat. Helps diminish the appearance of cellulite on hips, thighs, buttocks, abdomen area. Grapefruit - cleanses and removes toxins from the body, and helps to fight fat development. Lemon - enhances blood circulation by strengthening blood vessels, helps to prevent lymph accumulation and water retention, and tightens the skin. Grape Seed - regenerates and moisturizes the skin. Eucalyptus - Affects the fat deposits that lie beneath the skin, and helps protect your skin.